Severe weather pummeled the D.C. area overnight, leaving thousands without power throughout Maryland and Virginia — and possibly spawning tornadoes. 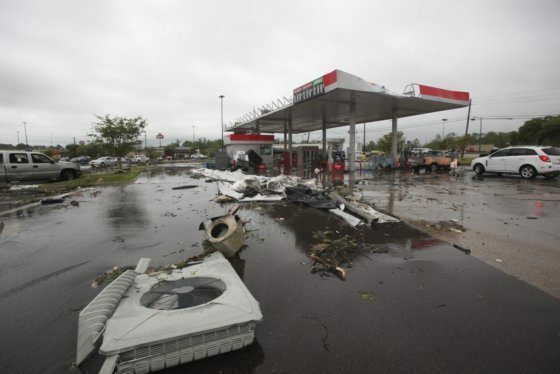 After the South was rattled with deadly storms over the weekend, a double volley of severe weather brought strong winds, torrential rainfall and hail to the capital region, toppling trees and downing power lines. In Virginia, widespread outages forced all Spotsylvania public schools to close Monday. Winds are forecast to pick up again on Monday. “Strong winds may blow down limbs, trees, and power lines,” the National Weather Service said. Additional power outages are expected. As of noon, Pepco reported about 700 customers without power, mainly in the Largo, Maryland area. Montgomery County Fire and Rescue spokesman Pete Piringer urged residents to treat all downed power lines as if they are still live. Crews in both states are working to restore power and clear damaged power lines. 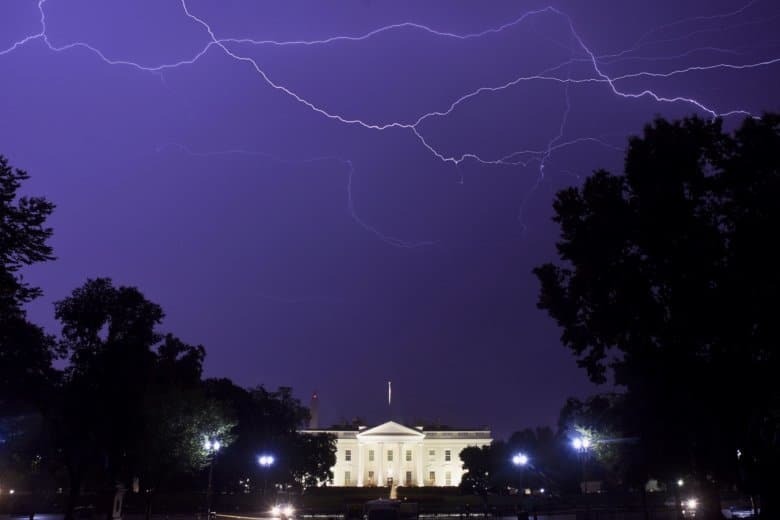 Reagan National Airport recorded a 55 mph gust in a thunderstorm just before 1:30 a.m. Monday, while coastal areas of Southern Maryland saw gusts near 70 mph as a squall crossed the Chesapeake Bay. In Maryland, parts of Prince George’s, Calvert, Charles, Frederick and Carroll counties found themselves in the path of rotating supercells, with the weather service issuing tornado warnings and urging residents to seek shelter. Lee said the agency will reach out to emergency officials and survey damage to determine whether a tornado touched down anywhere in the warned areas. With last night’s storms moving out to sea, skies will be clear again on Monday — albeit breezy. As a cool air mass rushes eastward over the Ohio River Valley between two areas of low pressure, winds in Maryland, northern Virginia and D.C. will pick up. The chance for more damaging winds prompted the weather service to post a wind advisory for much of the area from 8 a.m. to 8 p.m. Monday. More trees and wires could be brought down, and Monday commuters should keep a watchful eye on the road. Drivers of high profile vehicles should use extra caution, especially on bridges. Washington, D.C. from 8 a.m. to 8 p.m. Monday. In Maryland: Prince George’s, Anne Arundel, Montgomery, Howard, Baltimore, Frederick, Carroll and Harford counties from 8 a.m. to 8 p.m. Monday. In Virginia: Arlington, Fairfax, Loudoun, Prince William, northern Fauquier and Clarke counties, as well as the cities of Alexandria, Fairfax, Manassas and Manassas Park from 8 a.m. to 8 p.m. Monday. Monday: A few leftover light showers or sprinkles early Monday, then a mix of clouds and sun. Windy, but seasonably mild and much less humid. Highs in the low to mid 60s. Wind advisory in effect until 8 p.m.
Monday night: Mostly clear, winds diminishing. Cool, less humid. Lows in the upper 30s to mid 40s. Tuesday: Sun with increasing clouds. Seasonably mild. Highs in the mid to upper 60s. Wednesday: Mostly cloudy. Pleasant. Highs in the mid to upper 60s. Thursday: Partly sunny, warmer. Highs in the mid to upper 70s.